Available on a wide range of our products, direct to your door via Royal Mail. Available from a number of locations please contact us for more information. Wood2U has been a trusted internet supplier for over 10 years. Please get in touch on our low-cost phone number for expert advice. With over 50 years experience in the wood flooring industry we know what it takes to transfer your current flooring into the kind of flooring that oozes quality and visual appeal. Our extensive knowledge and experience in the industry enables us to source quality engineered wood flooring and laminate flooring at highly competitive prices. We are able to negotiate fantastic prices with our manufacturers and we love passing these savings down to yourselves so that you can enjoy high quality laminate or solid wood flooring at affordable prices. From contemporary oak laminate flooring to more traditional designs, we can supply a wide variety of styles and colours from some of the World’s top brands. We have ranges to suit all styles and budgets and we won’t be beaten on price. 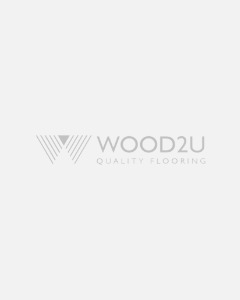 Why choose Wood2U for your flooring? Over the years we have worked with many satisfied clients and we pride ourselves on the service that we offer, our knowledge of the products, and the speed that we can deliver. If you want advice about laminate flooring or solid wood flooring then we will happily take you through the various options, advise on what will work best in particular settings and give you the best possible price that meets with your budget. Laminate flooring and solid wood flooring comes in a huge variety of styles, colours and prices so it often helps to talk to a specialist who knows the products inside out and who can advise you on the different ranges. This is why Wood2U has built such an excellent reputation in the industry. Our knowledge and service is second to none and we are dedicated to making sure that you spend your hard-earned cash on a floor that will not only delight you, but that will serve you for many years to come. If you would like professional advice about laminate and solid wood flooring and want to get a high quality floor at highly competitive prices then please do not hesitate to call us on 0333 600 1365. We would be more than happy to help.